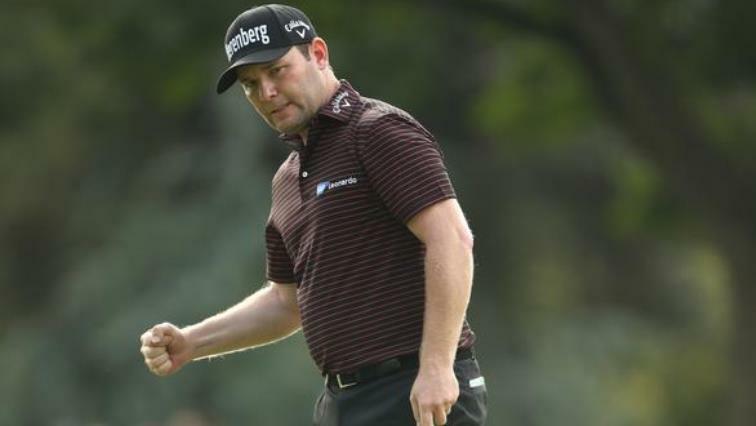 Branden Grace, three eagles later, settles for a share of the lead - SABC News - Breaking news, special reports, world, business, sport coverage of all South African current events. Africa's news leader. Branden Grace achieved a career first of three eagles in one round as he opened with a 65 to share the lead on Thursday’s Day one of the BMW South African Open at Glendower Golf Club. Grace’s round of seven under par saw him join American Chase Koepka at the top of the leaderboard and one stroke clear of England’s Chris Paisley. “It was good. I was a little bit rusty with some of the wedge shots and things like that but all in all very pleased with the outcome and I think I pretty much got the most out of that round. It’s a great start to 2018,” said Grace. The South African is still revelling in his Nedbank Golf Challenge victory last November, and he displayed similar form when he eagled the par-five second, eighth and 15th holes at Glendower in a round that also included three birdies and two bogeys. The eagle on the second saw Grace hole a 25-footer, which he says was crucial to his round. Koepka, the brother of PGA Tour campaigner and US Open champion Brooks Koepka, was delighted with his round after he opened with a bogey. Former SA Open champion Richard Sterne is well-placed at five under, while amateurs Garrick Higgo and Kyle McClatchie impressed with their opening rounds of four under. And Jamie Donaldson recorded the first hole-in-one of this year’s tournament when he aced the par-three 14th with a nine iron. Retief Goosen and Charl Schwartzel head into the second round on three under, while Ernie Els is at one under. This entry was posted on 11 Jan 2018,07:19PM at 7:19 PM and is filed under Sport, Golf, News. You can follow any responses to this entry through the RSS 2.0 feed. Both comments and pings are currently closed.